So gel eyeliner is a nightmare! It is difficult to apply and difficult the get rid of if you make a mistake but it does give you the best result. So here are five eyeliner tips from me! if you want to get perfect wings on both side but can't do it with gel try applying it with a felt tip liner and going over it with gel! what you do is you get about 3cm of tape and place it at the outside of you eye at the angle you want your flicks to be. Then draw your Eyeliner where you want it. when you have finished take off the tape and done! 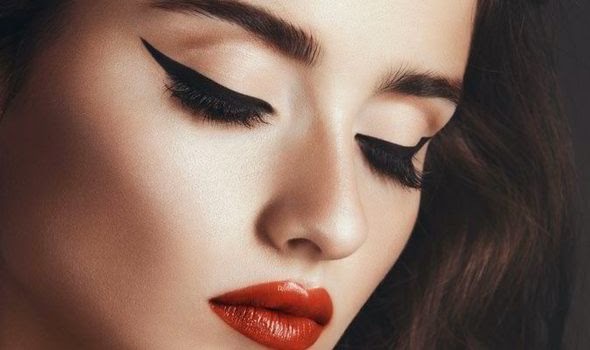 Perfect winged eyeliner! I'm not joking when I first started wearing eyeliner I looked like Sweeney Todd now I look a little less creepy! Just try different things out as well! 4. Try starting with pencil! Pencil eyeliner is much easier to correct or change than gel an much less messy! Make sure the brush you are applying it with isn't frayed or split as this can make your eyeliner look messy. Try trimming it or even just buy a new one! Also look after your brushes they are your best friends! Thanks for reading hope this helps! Wow I really Love your blog i like your style of photographs! !